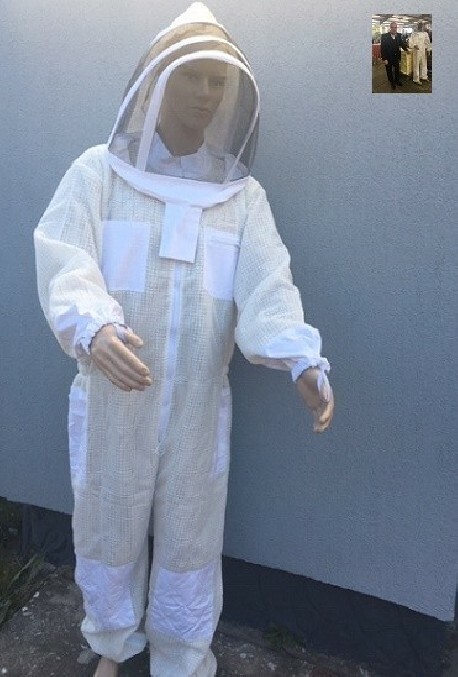 Protective overalls for the beekeeper with a modified mesh. 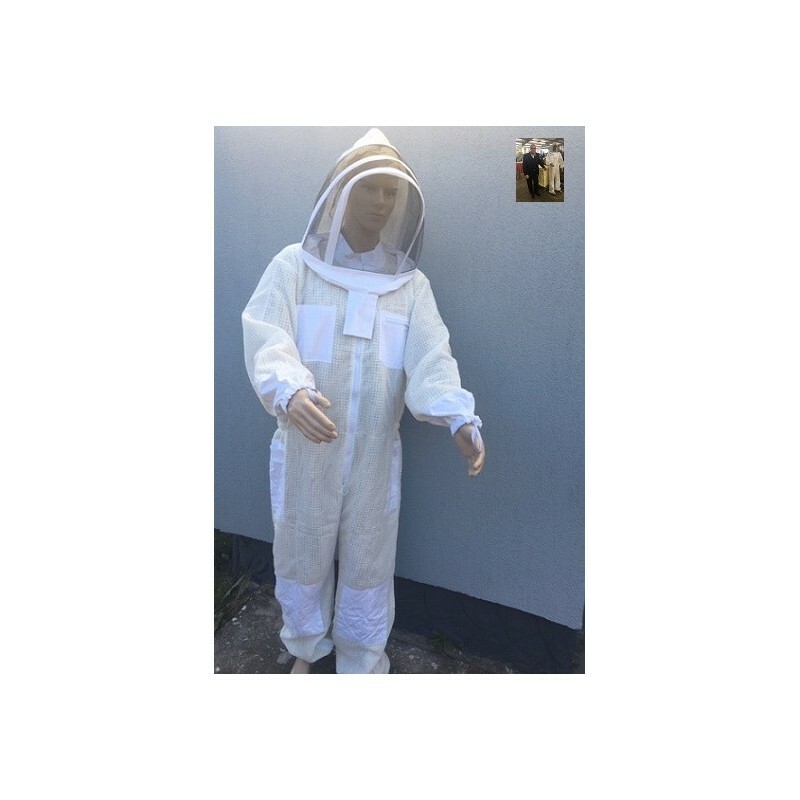 Overalls for the beekeeper with a mesh cloth and a modified mesh between the cloth, a jumpsuit of cotton fabric with an elastic rubber cord on the belt, as well as a sealing cuff on the wrists and legs. The extra long diagonal zipper on the jumpsuit makes it easier to put on and take off. Through a modified mesh of overalls, your body's moisture is lowered. Every, even a light breeze cools your skin. 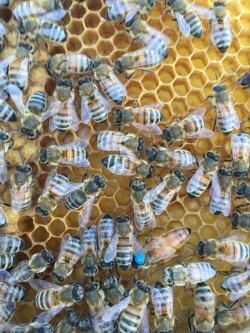 Bees are no longer worried about the pungent smell of your sweat and the comfort of working with bees is guaranteed for you. 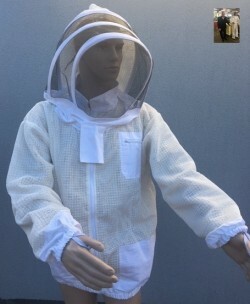 Due to the depth of the triple fabric, you are always well protected from the aggression of the bees. The beekeeping suit washable up to 60 degrees. The beekeeper hat up to 30 degrees.